Haven is an example of how vanilla textures can look if you include fantasy and realize your plans. 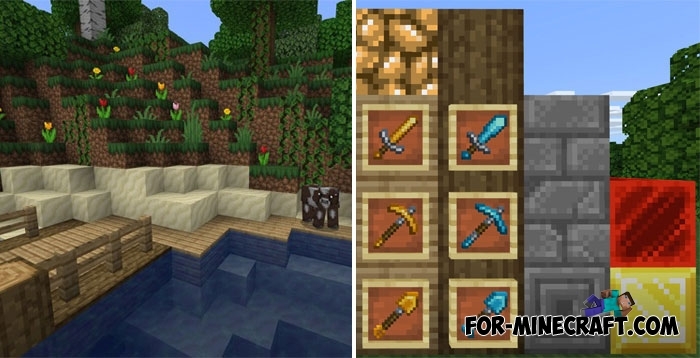 In this case, the texture pack does not distort the standard style of Minecraft, improving things for the most part. If you are not impressed with the appearance of the blocks then take a look at the tools or food that got a more open and detailed look. Much could be said about the textures themselves, but it's important to remember about performance and resolution. 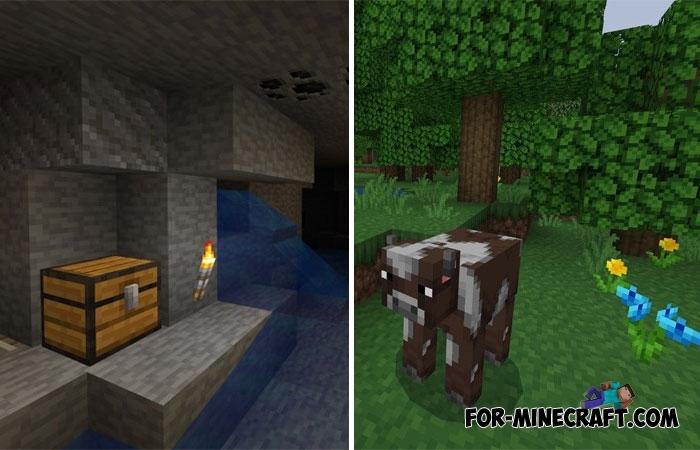 Haven is made in 16x and absolutely does not affect the consumption of operational and graphics memory. It is comparable to vanilla and adapted for the latest versions of MCBE. How to install the Haven Textures?